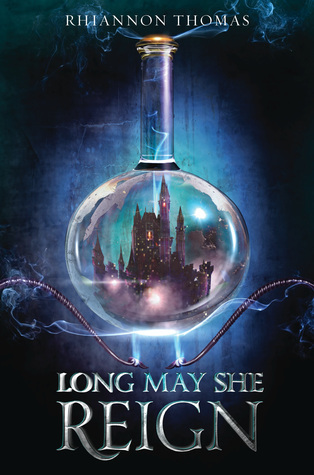 Long May She Reign was such an interesting book. It has more of a dark and sad tone, but I really liked it. It was more of a murder mystery than anything else and I wasn’t even sure myself who the murderer was until the end. I did have my suspicions but I thought the whole journey to the answer was well executed. Freya loves Science and logic and so the court has zero appeal to her. If she can avoid any interaction, much to her father's dismay, she will. When the Royal Court is eliminated by mass poisoning, it pushes Freya from low on the Totem pole of succession to Queen. Taking on this role is much more than Freya bargained for but with her sharp mind and skills she is determined to solve the murders. Not only for justice but to protect her life as well. I loved Freya as a character. She ends up changing and developing so much because her new responsibilities demand it of her. She has to find a way to be the Queen she wants to be and the one the people need. Her whole journey is quite interesting. I enjoyed the side characters as well. Naomi is Freya’s best friend and I love that they don’t lose that when she becomes Queen. It’s nice to have someone that you aren’t suspecting of murder on your side. There is also Madeleine and Fritzroy as well as the advisors of the council. There are few suspects but that doesn’t mean they are not deadly. The plot was really interesting because of the murder mystery. I felt the romance was light and so it worked for the book. Freya ascent to the throne and the murders take center stage. The tone is really dark and sad. So many people have lost so much so it’s not like people are dancing around. I liked that it wasn’t just ignored and pushed in the background. I found that the book was a quick and enjoyable read for me. There was no lag in the plot and nothing was particularly drawn out. Definitely one I would recommend.